"I was, obviously, aware of the fact that we were the first ones to get into the program. I didn't have any classes with the other two women. But I didn't find any trouble. The men in the classes were friendly. They all, of course, were in sections, and study groups, and things, but if I needed a study group I could talk with them." 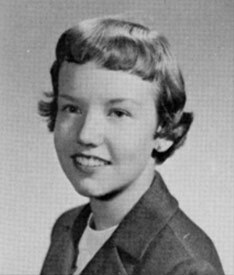 Sara B. Wilkinson was one of the first three women to receive an MBA from Harvard Business School in 1960. Wilkinson worked at IBM both before and after earning her MBA. During her career at IBM, the 360 mainframe computer system was announced which she was asked to teach in her branch. She retired in 1992 as a liaison between programming groups and the then head contractor on the Space Station. Interview by Jeff Cruikshank, June 17, 2008. HBS Archives. Baker Library Historical Collections. Harvard Business School. Excerpts from the Women at HBS Oral History Collection, 2008, Baker Library Historical Collections, Harvard Business School. Inquiries regarding research use of the collection should be directed to Baker Library Historical Collections at histcollref@hbs.edu. Copyright © 2013 President and Fellows of Harvard College.